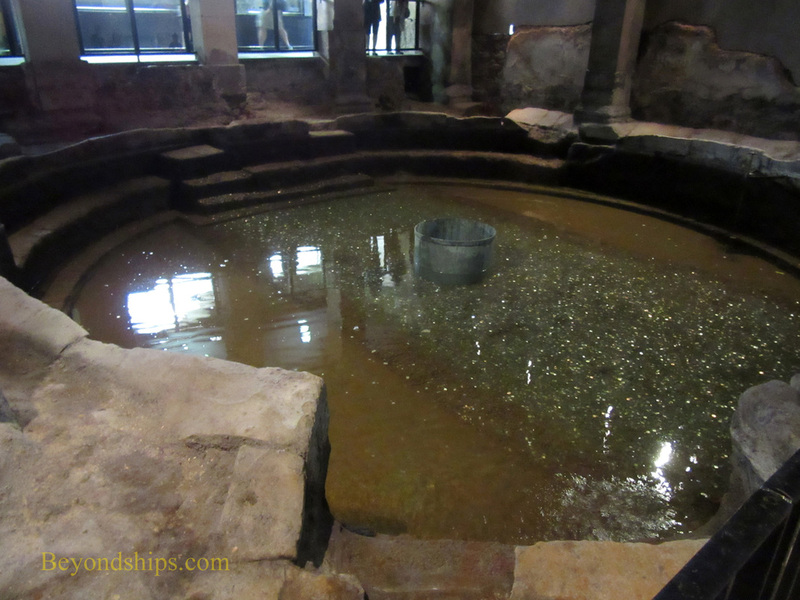 Today's Roman Baths can be divided into four elements - - the Sacred Spring, the Roman Temple, the Roman Bath House and the Museum (each discussed below). Visitors enter the site through a neoclassical building that fronts on the Abbey Church Yard. The building dates from 1810 and was originally a concert hall. Inside visitors can purchase tickets and pick-up one of the hand-held audio guides. You are then free to wander through the site at your own pace. The Sacred Spring (also known as the King's Spring) is what attracted both the ancient Romans and the 18th century Georgians to this place. Each day, it produces some 240,000 gallons of water rich with 43 minerals. The water has a temperature of about 115 degrees Fahrenheit (46 degrees centigrade). 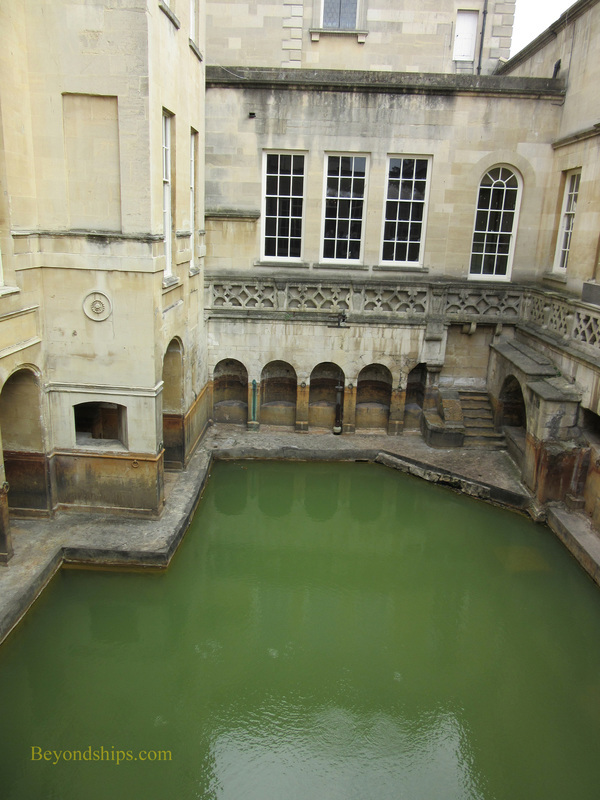 The spring supplies water both to the Pump Room, which is immediately above the pool, and to the nearby Roman Bath House. Much of the ancient Roman system is still used in distributing the water. Unfortunately, the lead pipes used in this system are one of the reasons the water is no longer considered safe for swimming. Pedestals are visible below the surface of the spring Statues once stood upon these, giving visual support for the idea that the gods lived in the spring. Coins and other offerings were tossed into the spring as a form of worship in Roman times. They also would write curses on lead sheets asking the gods to punish various enemies. These would often be targeted at people who had stolen articles of clothing from the Bath House. 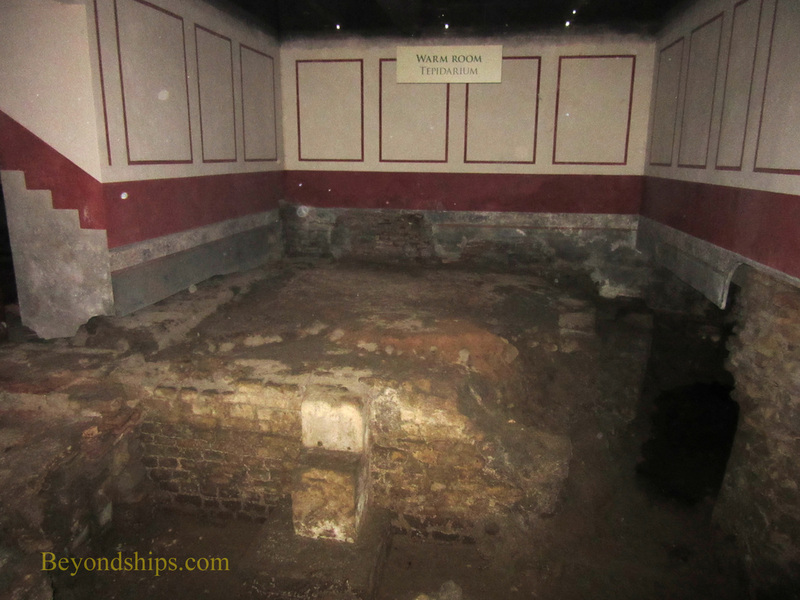 The centerpiece of the Roman Bath House is the Great Bath. It is a large rectangular pool surrounded by a columned walkway. Today, the Great Bath is open to the sky. However, in ancient times, a great barrel vault covered the Bath House. Overlooking the pool from the terrace are 19th century statues of Roman emperors and governors. Lined with 45 sheets of lead, the pool is a little over five feet deep (1.6 m). The water came directly from the Sacred Spring. Thus, this was a hot pool or caldarium. The Great Bath was only one component of the Bath House. To the east is the remains a smaller pool, the tepiparium, which held warm, as opposed to hot water. There are also the ruins of some of the Bath House's heated changing rooms. 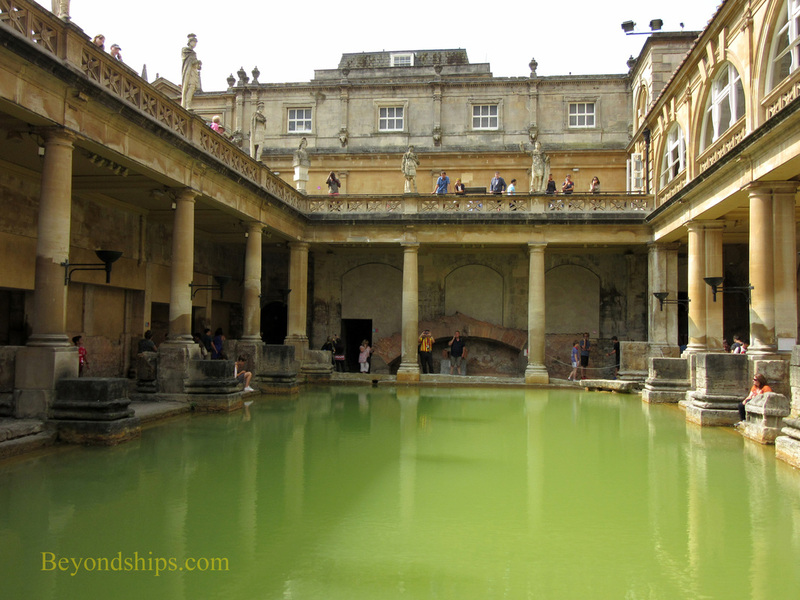 To the west of the Great Bath is the ruins of yet another pool, the frigidarium. Here, the Romans would plunge into cold water to stimulate their circulation after bathing in the other pools. It should be noted that the Bath House was not just a place where you came for your health. It was also a place to socialize, meet people and hear the latest news (or gossip). Thus, the Romans would sit by the sides of the pools, relaxing and conversing. ​Below: The ruins of the warm bath. Above: The cold path plunge pool.